With the CoolZone™ hot tub cooling system, your Caldera® spa can both heat and cool the water – something that is not possible in most hot tubs. This easy to use innovation expands your hot tub use, so you and your family can enjoy hot tubbing more, all year long. 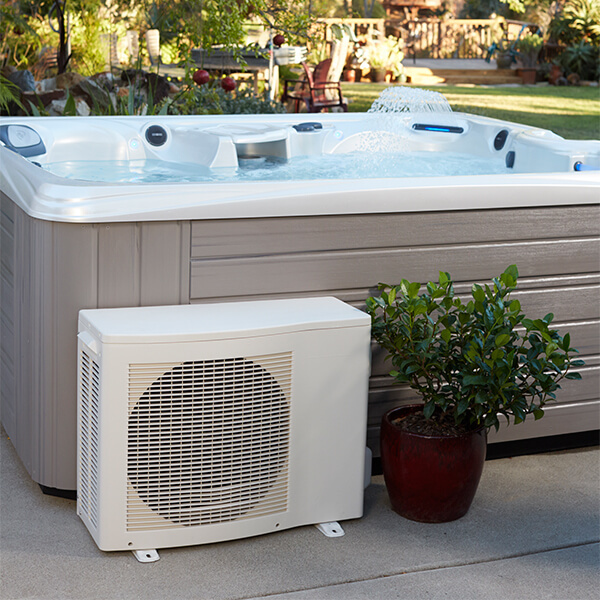 Similar to the way an air conditioner cools your home, the CoolZone™ system cools spa water to as low as 60 degrees. And when you're ready to warm things up again, the system works with your spa's heater to efficienty raise the temperature in just a few hours. Depending on factors like ambient air temperature, the CoolZone system even has the potential to lower operational costs by reducing the time required to run the standard energyPro® heater that keeps the water hot.